You've Decided to Hire a Painting Contractor. Now What? Urban areas often have local magazines (i.e., in Seattle, there is Seattle Magazine), and many of them feature renovated homes. These pieces will list the names and phone numbers for the contractor and sub-contractors—but be warned, these sub-contractors are usually very high-end and expensive. What Would a Painting Contractor Do? Coverage of all areas that will not be painted, including floors, windows, kitchen counters, cabinets, etc. Minor surface preparation prior to painting, which means light sanding and scraping away loose paint, tapping in a few protruding nails, cleaning off the woodwork, using tackcloth in some areas. The key here is “minor,” as the contractor will assume that the house is mostly in paint-ready condition. Removal of electrical plates, lights, doors, and other obstacles. Moving furniture away for better access to the areas to be painted. This is not really a painter’s job, so you would need to confirm this beforehand. Priming new drywall or the current paint with an interior latex primer. Two color coats of interior latex paint on the walls. Two coats of ceiling paint. Painting the trim and molding (baseboards, window trim, window muntins, etc.). Cleanups for accidents (no matter how good the coverage with drop-cloths, some drips will happen). A final evaluation between painting foreman and homeowner. Unlike conversing with an electrician, you do not need to know specialized lingo. 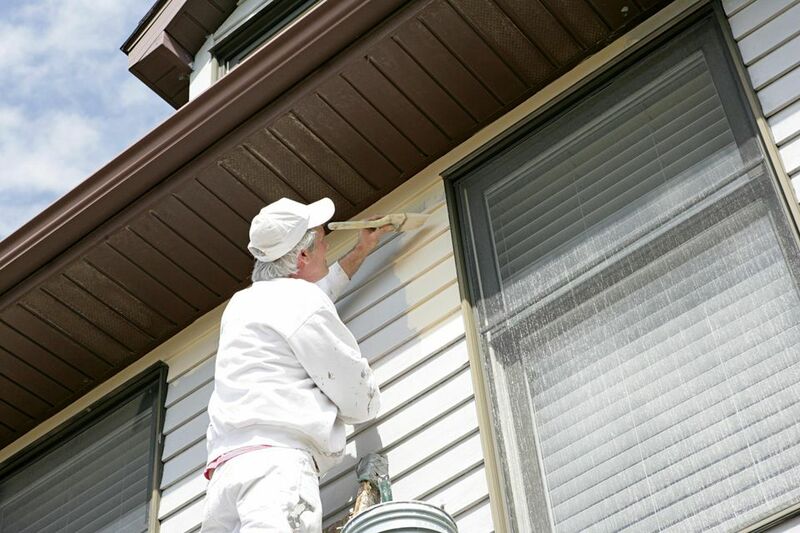 Most house painting contractors are good at making things clear to the homeowner. What type of paint does the contractor intend on using? How many coats will be laid down? How will the non-paintable areas be covered for protection? How long can you the job to take? Is it preferable for the residents to vacate the house during the job? Will masking tape be used around the trim or the cut-in method? More than you expect. Some painting contractors will have formulas that they use, totaling up the square footage of walls and ceilings, along with linear footage of trim. They will calculate preparation time, as well as the “hard costs” for primer and paint.